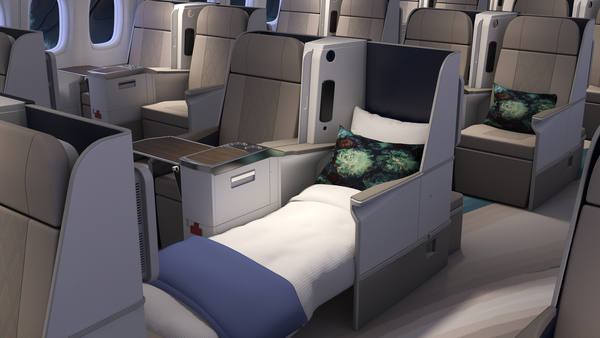 Crystal’s CEO and president, Edie Rodriguez, has unveiled the latest designs for the first aircraft, a Boeing 777-200LR, as part of the company’s Crystal AirCruises experience. 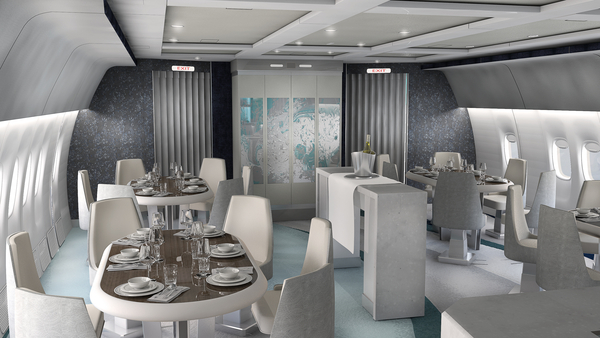 In autumn 2017, Crystal’s acclaimed luxury and exclusivity will elevate to new heights with Crystal AirCruises transporting just 84 guests to some of the world’s most exotic and remote destinations in decidedly first class accommodations on 14-, 21- and 28-day itineraries. Crystal’s privately owned Boeing 777-200LR is currently being transformed to meet Crystal’s exceptional standards of customisation, and will boast comfortable, fully reclining Crystal Exclusive Class™ seats, airy social spaces, large flat-screen TVs, Crystal’s famous butler and concierge services and Michelin Star-inspired cuisine. more commonly found in luxury suites. The custom Crystal Exclusive Class seats fully recline to lie-flat beds, measuring 73.5 inches long, for maximum personal space and ergonomic comfort, while the expansive social lounge with stand-up bar, two divans and four dining tables with dedicated seating for six guests fosters friendly camaraderie among guests. Cuisine will be prepared by a dedicated executive chef in two state-of-the-art galleys and paired with an elegant premium wine list.